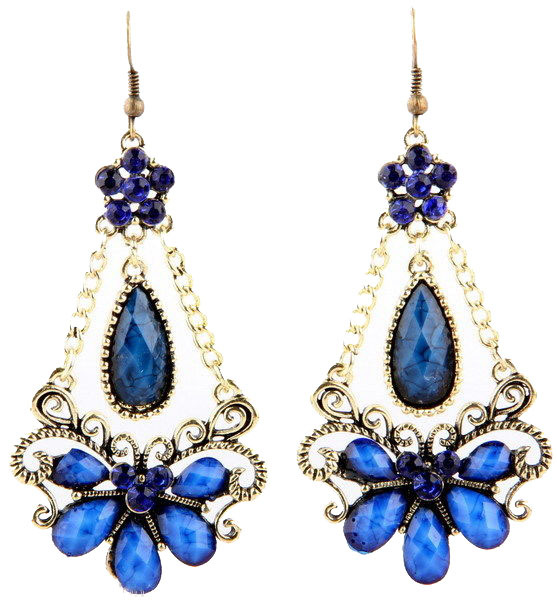 Chic and romance are the best words for Tina earings of mysterious royal blue color. The earrings feature a large faceted drop-shaped crystal pending in the center. The lower part resembles a fan consisting of opaque beads. Purchase a pair of our bead earrings and other jewellery to qualify for a free bonus bling gift.